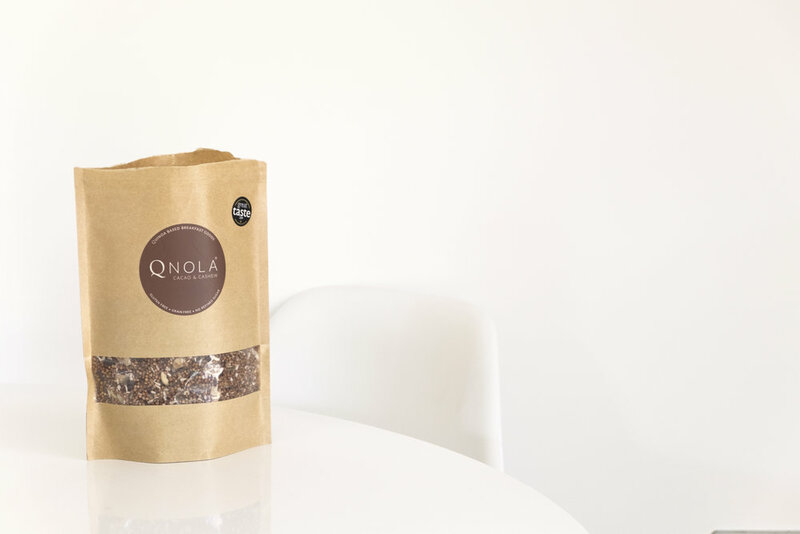 I’m super excited to announce that our full range of Qnola Breakfast Goods are now available on Ocado online. That means better distribution, nationwide, and all at the click of a few buttons. Since starting the business in 2014, it has been a dream of mine to produce and distribute Qnola to the masses and to reach more people and change the way we wake. If you haven’t yet been able to try Qnola, I hope our partnership with Ocado makes it more accessible for you. The largest online supermarket, Ocado is passionate about delivering an exciting variety of innovative brands right to your doorstep. They carefully select their range of products meaning you'll always find a balance of unique and everyday items. Ocado help small brands (like us!) reach more customers and we couldn't be more excited for Qnola to make it onto more breakfast tables across the country. Spread the word, tell your friends and enjoy waking up well with even more ease! And please, if you have a few seconds, leave us a star rating or a short review - it means the world to us!